Mondays are the new Sundays. Monday July 10 Bikini Bar will be hosting yet another Bikini Bar Takeover! Number four, bring it on! Bikini will be welcoming Indonesia’s first World Class representative and Jakarta bar veteran Kiki Moka. With 20 years of experience in the nightlife industry and an eye for cocktails with character, Kiki is a true legend behind the bar. Both Mixologists will be creating cocktails specially for this night. 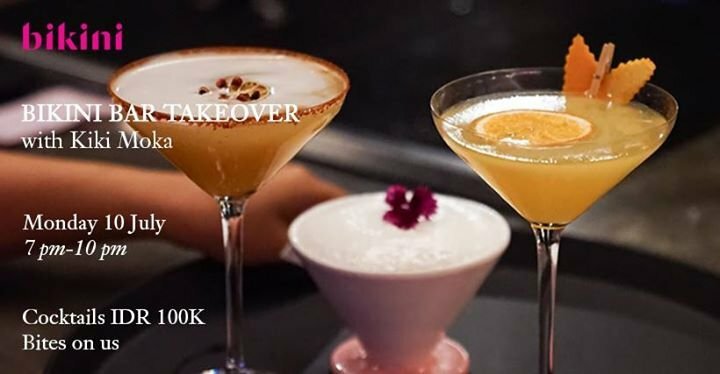 If you’re a cocktail lover and would like to try something new, this is a night you don't want to miss out on! *Free bites will be served from 7.30 pm.